Seltjarnarnes is an Icelandic tounship locatit athin the Greater Reykjavík aurie. It teuk on its current poleetical form shortly efter the Seicont Warld War an wis formally creatit as a tounship in 1947. It is the smawest Icelandic tounship bi laund (2 km²). Thare are twa schuils in Seltjarnarnes, Mýrarhúsaskóli an Valhúsaskóli. Seltjarnarnes is famous for Grótta. The Unthirldom Pairty haes haed an oweraw control in the toun's cooncil syne proper elections stairtit in 1962. In the last elections , the pairty receivit 70% o the votes an 5 oot o 7 members o the cooncil. The mayor is Ásgerður Halldórsdóttir. The local fitbaa team Grótta play in Iceland's seicont level. Grótta´s handbaa team play in the N1 deildin, the premier diveesion in Iceland. Grótta haes gymnastics an aw. 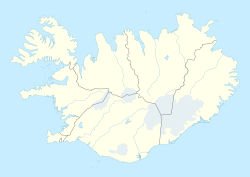 1Icelandic dounsets wi ceety or toun status. Nae tae be ramfeeselt wi the municipalities. This page wis last eeditit on 11 Mairch 2018, at 03:16.